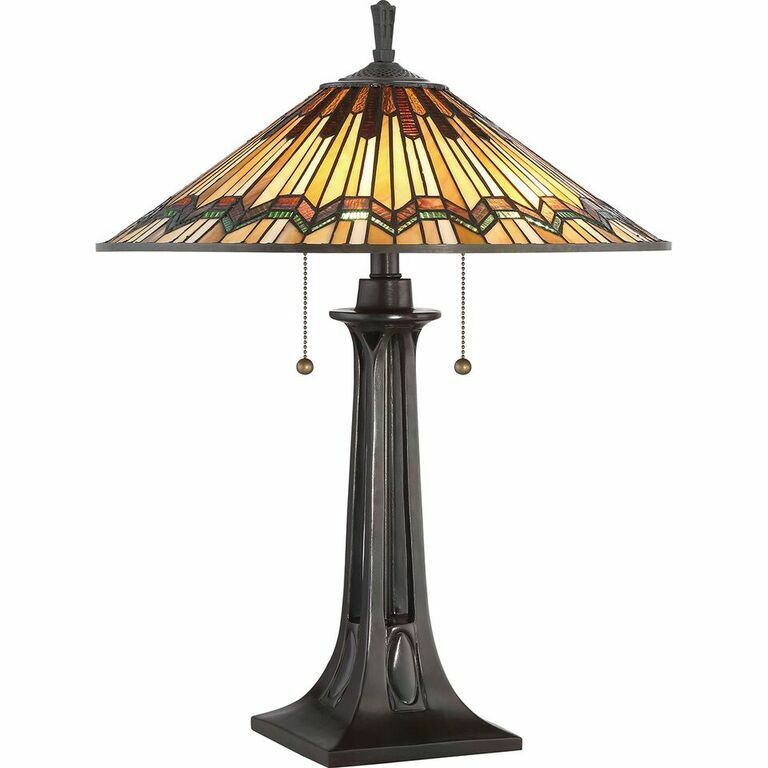 The Elstead Lighting Alcott Tiffany Table Lamp Features Mission Style At Its Finest. The Beautiful Shade Of the Alcott Table Lamp Is Artfully Arranged And Features A Soft Green Striped Accent. The Classic Base Is Finished In Valiant Bronze And The Alcott Tiffany Table Lamp Has An On Off Pull Cord Switch.